A documentary film about the English photographer Eadweard Muybridge. A documentary that examines the films made by the victims of the Hollywood Blacklist and offers a radically difference perspective on a key period in the history of American cinema. Stars: Paul Jarrico, Eric Johnston, Ring Lardner Jr.
A woman faces a variety of emotional crises as she spends the summer interacting in various ways with friends, family, and lovers. The clip shows a jockey, Domm, riding a horse, Sally Gardner. The clip is not filmed but instead consists of 24 individual photographs shot in rapid succession, making a moving picture when using a zoopraxiscope. In 1980s Romania, Dallas (1978) becomes a huge hit and inspires a young woman to emigrate to America. Playfully mixing fiction and documentary, "Hotel Dallas" is a surreal parable of communism, capitalism, and the power of art. There was much-needed reappraisal of Eadweard Muybridge during the 1970s, which was the centennial of his instantaneous and sequential photography of horses and other animal locomotion in California. Especially considering the harm done by misinformation in such books as "A Million and One Nights: A History of the Motion Picture" by Terry Ramsaye, which belittled Muybridge's contributions or erroneously assigned them to others and which, generally, offers a false history of the invention of movies while promoting Thomas Edison as the central inventor. 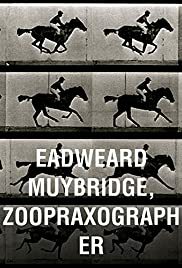 Besides this film, "Eadweard Muybridge, Zoopraxographer", two books that remain among the best on the subject were published: "Muybridge: Man in Motion" by Robert Bartlett Haas and "Eadweard Muybridge: the Father of the Motion Picture" by Gordon Hendricks. An exhibition and book titled "Eadweard Muybridge: the Stanford Years, 1872-1882" has been credited with initiating this series of retrospective works and probably remains the best reference on that period of Muybridge's photography. This documentary film actually doesn't cover that initial period of instantaneous and sequential photography very well and neither is it especially informative in regards to the Zoöpraxiscope projection of animated pictures, but, rather, does better at focusing on the earlier location still photography of Muybridge and his later chronophotography for the University of Pennsylvania. Educationally and as an introduction to Muybridge, this is a valuable film. It was also an early source for animations of Muybridge's serial photography, which are now widely available on the web, as well as from other documentary sources. Critically and, occasionally, stylistically, this documentary is flawed, though. If you're an academic who subscribes to Marxist film theory, however, you'll surely disagree with me on this and, instead, concur with Thom Andersen's critical approach. The first indication of this trouble is that the film begins with a quotation from Mao Zedong. 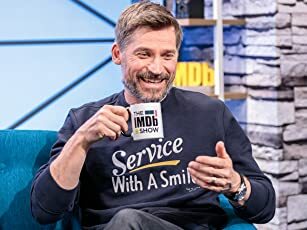 Most of the first part of the film, however, is a good biographical sketch, where zoom-ins on photographs are used to good effect. The Marxist speak and academic mumbo jumbo is largely saved for the end when discussing the University of Pennsylvania work. Here, we learn that there was "a dialectic of subject and method" and that the rectangular-grid backgrounds for the photographs "provides the most dramatic means of establishing the separateness of human beings form the physical objects surrounding them". Whatever that means—not surprisingly, this was a 16mm student film. Stylistically, the only annoyance was the filmmakers' tendency to sometimes get carried away with some of the animations, as well as with the music, and, especially, the over use of stroboscopic effects. I'd guess that this documentary itself could possibly induce seizures among some people just as was done, as mentioned in the film, for Muybridge's photography of artificially induced convulsions. I don't mean to be harshly dismissive of this hour-long film, though. Despite being nearly 40 years old itself now, its history remains largely accurate. Although it does make the mistake of explaining how we see motion pictures as due to the "persistence of vision"—that is, the illusion of motion is somehow fused from afterimages on our retinas; this, however, was commonly believed back then. Even today, many, if not most, continue to make the mistake of believing that this has anything to do with how we perceive motion from a succession of still images, which, in fact, is a result of our brains making sense of what we see. (By the way, for both an accessible biography of Muybridge and a good explanation of how we perceive motion pictures, read Brian Clegg's popular biography "The Man Who Stopped Time"). Nevertheless, this is, generally, a good and brief introduction to the fascinating life and work of Eadweard Muybridge, who has been properly restored to his place as one of the most important figures in the history of the invention of movies.